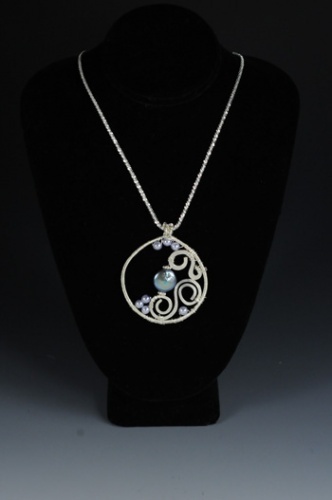 This pendant is made with pretty blueish purple glass pearls and a beautiful deep grey coin pearl enhancer. Curls of sterling silver make the colors really show up. Comes with a chain.